What should i play for the strumming pattern? I like the structure of the song. And the music it makes. 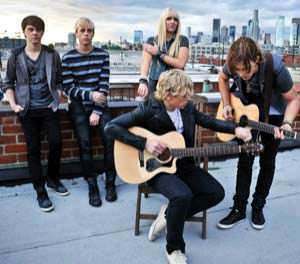 R5 is a unique group of siblings born and raised in Littleton, Colorado. They have always had a fascinated group of followers and fans, ever since they showed up at their first performance in their matching outfits at the age of six on down to one. They've been performing, singing, dancing and acting, since they all could barely walk. Finally moving to Los Angeles in the fall of 2007, they've struck a chord in Hollywood, working on nearly 100 different .